Ultimate Guide To Online Invoicing For Small Businesses. For a small business owner, invoicing is probably one of the most important areas to manage and deal with. Whether you like it or not, online invoicing is a necessity for businesses of all sizes. However, not all business owners are familiar with the basics and importance of invoices. Never take your eyes off the cash flow because it’s the lifeblood of business ~ Richard Branson. For a small business, cash flows are the lifeblood, and what supports that lifeblood is an effective and timely invoicing. To help you, we have proudly created “The Ultimate Guide to Invoicing” also knows as the best ever “Invoicing Guide”. Throughout this guide, you’ll discover what exactly an invoice is, how it affects your business, examples of invoices, and tips to help you get paid on time. Definition: An invoice is a document issued by a seller to the buyer that indicates the quantities and costs of the products or services provided by the seller. An invoice provides a detailed account of the products or service and a set of other information that can vary a bit depending on the requirements in the country the invoice is issued and the type of product or service being sold. An invoice has historically been a paper document mailed to the buyer, but these days sellers can request payments online via email with electronic invoices. There are many different types of invoices you can send to customers. Each type of invoice has a specific purpose. The following are the five most common types of invoices that you might send to customers. A proforma invoice is not a demand for payment. It is actually a notice that shows a client the amount they will need to pay when the project is completed and is not used as a demand for payment. The terms in a pro forma invoice can change as the project proceeds. An interim invoice is a way to take a large project and break the payment down into multiple payments that correspond to the completion of a certain portion of the project. The interim invoice covers that amount of money and provides a way to help with cash flow during large projects. You send a final invoice after you complete a project. The final invoice lets the customer know the work is done. Unlike a proforma invoice, the final invoice is a demand for payment. Your final invoice should include an itemized list of the products and services you provided. You should also note the total cost, due date, and payment methods. Using a recurring invoicing system works well for subscription-based businesses. The recurring invoice is for ongoing services and is typically for the same amount as for a membership or subscription. Use recurring invoices to bill customers for ongoing services. You charge the same amount periodically, similar to some utility bills. Instead of charging a customer, you use a credit memo to acknowledge that you owe them money. You might send a credit memo because your customer returned goods, products you sent were damaged, or you sent the wrong item. With a credit memo, you can refund the amount the customer originally paid or offer credit to your customer on a future purchase. ESSENTIAL ELEMENTS OF AN INVOICE. Each type of invoice has its own unique purpose. But, usually, invoices contain the same key information. Here’s a list of 10 essential elements of a typical invoice to help you get paid faster. Every invoice should come with its own invoice number as a unique identifier to separate it from the rest in the stack. Let customers know the date the invoice was created. This will also help to simplify the process of cataloging the invoice. The top part of your invoice should feature the logo of your business. This makes the invoice look professional. An invoice should clearly list the details of the business that is issuing the invoice eg. name, email address, phone number or a physical office address. Customers want to be sure the invoice is intended for them. The invoice should include contact details (eg. name, address and phone) of who is receiving it. Create an itemized list of each product and service you provided. Next to each item, write the individual cost. For example, if you sell a product, your invoice should list each item purchased, the quantity purchased the price per item and the total price. Clearly indicate the total amount that needs to be paid. Show how you came up with this number, especially if you plan to add taxes or use discounts. This is the last day the invoice is considered due for payment. This has to be boldly stated on the invoice. Specify payment terms for this invoice. For example, if there is a deposit, when is it due? mode of payment etc. You can use this section to thank clients for doing business with you and provide additional information you might want to pass across via the invoice. Online invoicing is a far more efficient process as compared to any other forms of invoicing. These are the major benefits of online invoicing for small businesses. Online invoicing completely reduces and eliminates the additional cost associated with papers, envelopes, and postage compared to traditional invoices. Also, you don’t need to invest in physical storage spaces as everything is stored in the cloud making it easy to access your financial records from anywhere at any time. Paperwork is a hassle & online invoicing reduces paperwork significantly. You don’t have to always print a paper copy of invoices as you can easily send a digital copy that can be viewed online via email. Another major advantage of online invoicing is that it reduces the time between sending an invoice and receiving payment. You don’t wait for cheques to arrive in the bank you can easily accept payment online. 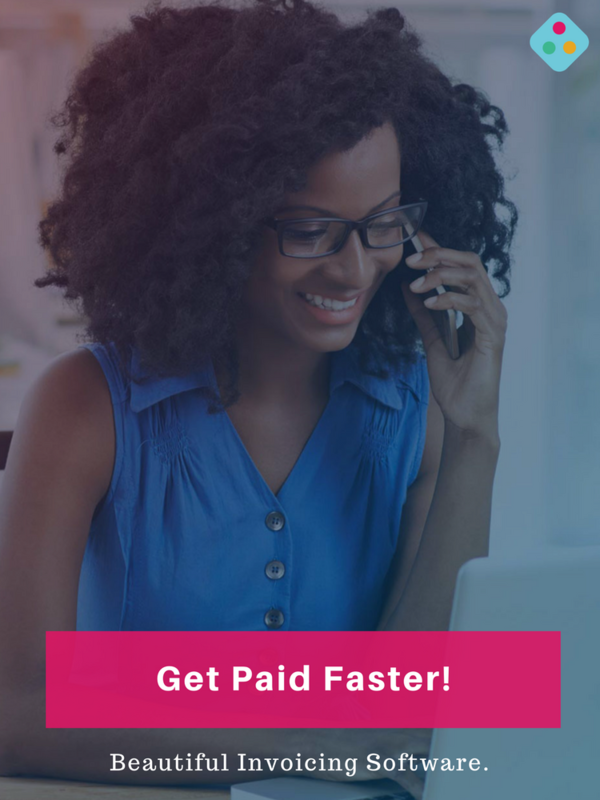 It’s fast, easy and means you get paid almost instantly. 5. ELIMINATES ERRORS & DISPUTES. Errors and disputes are inevitable when processing invoices. Online invoicing reduces errors and disputes due to human factors because all necessary calculations including tax deductions are handled by the computer software which reduces the risk of wrong calculations by humans. Once you’ve sent out your invoice, what happens next? Traditionally you would wait until the due date and keep checking your bank account to see if you’ve been paid. Online invoicing comes with automatic tracking features that let you know when your invoice has been received, opened or paid. For small businesses, using an online invoicing software makes good business sense. 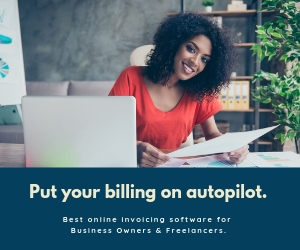 Click here to get your own online invoicing software today.